She Is The Music is increasing the number of women working in music — songwriters, engineers, producers, artists and industry professionals. 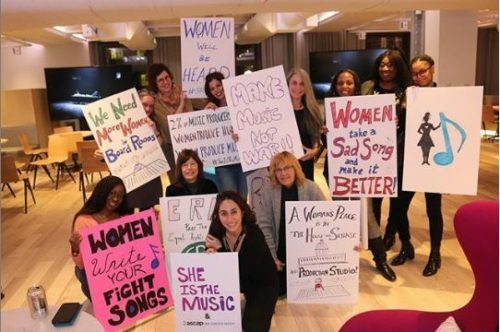 She Is The Music (SITM) is a global network that operates as a unifying organization for women from across the industry, creating strength and impact on a global scale. SITM provides resources and support for female-focused initiatives that are working to create meaningful change — both through their own programs, as well as external efforts around the world. SITM programs include an all-female songwriting series, industry database of women creators, and mentorship program, with more to come. SITM’s initiatives serve women in the industry today, while fostering the development of future generations. Together with its partners, SITM is creating change for women and building an equal future for music.